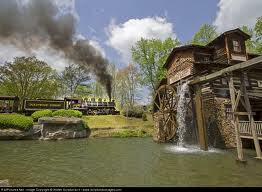 Dollywood is the most visited theme park in Tennessee. This family attraction is also the most popular in the Smoky Mountains. Visit Dollywood March thru December each year for the best in family entertainment. You’ll enjoy the top rollercoasters in the South which include the Tennessee Tornado and Barnstormer. Dollywood’s season and calendar of events begins in early Spring and continues through December, showcasing the park’s beautiful Smoky Mountain setting amid the splendor of all four seasons-from fall festivals to Christmas outdoor light displays. Dollywood’s spectacular Tennessee setting provides the perfect backdrop for a variety of amusement park rides and attractions. Thrilling roller coasters, daring water excursions, family rides and kiddie rides-you’ll find them all at Dollywood-along with one-of-a-kind attractions that let you experience our Smoky Mountain way of life. See a live show while you’re here and don’t miss the best roller coasters in the Smoky Mountains of Tennessee! Dollywood open 8am – 6pm daily, except for major holidays. When visiting the Pigeon Forge area, we recommend reserving a fabulous vacation cabin rental for all the conveniences of home. Cabins are available near the Little Pigeon River, Outlet Shopping, Splash Country, and Dollywood. 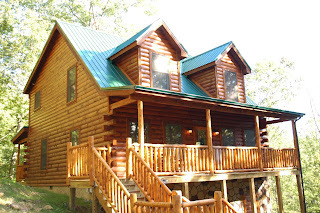 Creekside and mountain view log cabins are available for your family vacation. These vacation homes in Pigeon Forge often offer swimming pool access, hot tubs, pool tables, full kitchens, deluxe King beds, gas or park-style grills, and laundry facilities. The value of these accommodations is incomparable to other lodging options. Book your cabin rental today, as you make plans to visit Dollywood amusement park in Pigeon Forge, Tennessee. Your family will love the Smoky Mountains experience this Season!